Instant Hot Tap Travel Shower | BUDK.com - Knives & Swords At The Lowest Prices! 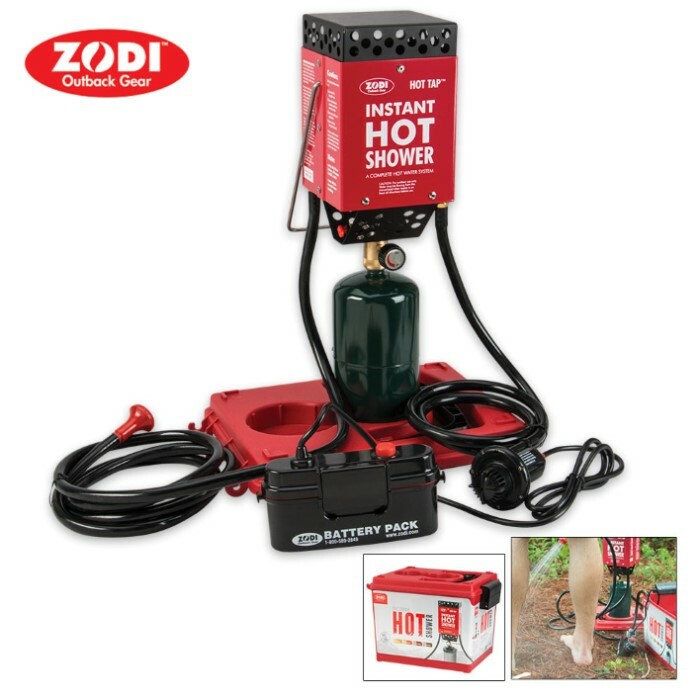 The Instant Hot Tap Travel Shower is portable, self-contained and exactly what you need for your outdoor adventures. 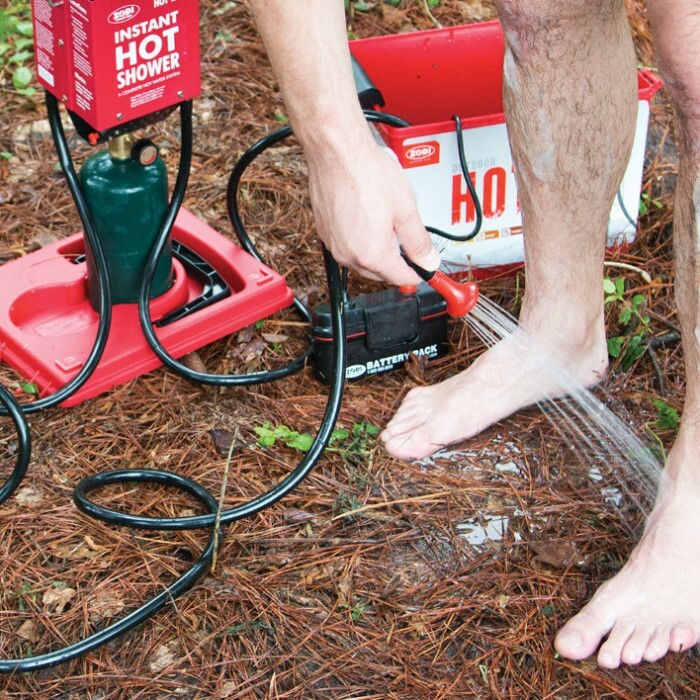 You don't have to "rough it" when it comes to bathing when you're camping. Enjoy the convenience of instant hot showers with matchless push-button ignition. This travel shower is equipped with a stainless steel burner that provides endless hot water in just seconds. This unit includes a powerful battery-powered water pump and a rugged plastic storage case that doubles as a 4-gallon water container and propane tank base. Ideal for family camping, emergencies, RVs and more. Propane and 4 D-cell batteries are not included.